Directions: The Fort Curtis Historical Marker [ Waypoint = N37 35.418 W90 37.583 ] is located on Fort Hill near the intersection of Church and Spring Streets in Arcadia, Missouri 63621. From the Railroad Depot marker, head south on Bogy Street for about to blocks until you reach Maple Street. Turn right (west) onto Maple Street (also State Highway 221). After about 0.4 miles, turn left (south) onto State Highway 21. After about 2.3 miles, turn right (west) onto Pine Street (also State Highway 72 East). After about 0.1 miles, turn left (south) to continue on State Highway 72. After about 0.2 miles, turn right (south) onto College Street. Almost immediately take the first right (west) onto Church Street. 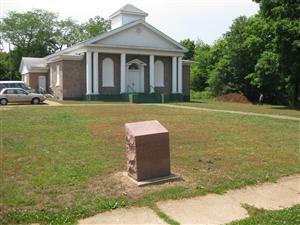 After about a block, you should see the granite marker on the grounds of a church. On this hillside stood Fort Curtis. It commanded the high ground overlooking the junction of the road that connected Ironton and Pilot Knob with Fredericktown in 1863. It was abandoned for Ft. Davidson because it was to far from the rail terminus and supply depot in Pilot Knob. Confederate officers used this site as an observation post during the Battle because it gave them a good view of the entire valley. "When we arrived at Ironton in September, 1861, the fort had hardly been built. The trees had been cut on the ground but none of the breastworks had been built. In fact the lines of the fort had not been fully established … Much was thought to depend upon the rapid building of the fort. 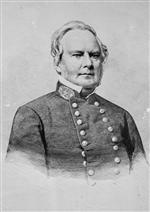 The work was placed under charge of Colonel Hovey. The Thirty-third undertook to do the work and commenced at once … The walls of the fort are built of heavy timbers. Two walls were in fact built, one inside of the other, of hewn logs pinned together. The center between them was then filled with timber and earth pounded solid. When finished it gave a solid wall of about twelve feet in thickness at the bottom and eight at the top … The fort covers considerable ground, enough to accommodate quite a large force inside. Platforms are built around the sides for infantry to stand upon. It is arranged to contain four heavy cannon and so built that three of them can command a given point. In addition a number of pieces of field artillery can be used in it when necessary. It is situated upon a hill which seems to have been intended for the very purpose. It is almost the only high ground in Arcadia valley and the fort upon it commands the entire valley. It would be a very difficult place for an enemy to take." "Fort Curtis not complete, and no account when completed, as it is commanded by two hills in neighborhood." 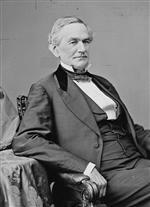 "[On the evening of September 26th,] Major-General Fagan drove in the Federal pickets at Arcadia and took position before the town for the night. The next morning he drove the enemy from Arcadia, where they abandoned a very strong position, through Ironton, where he also took a strong fort in the most gallant and brilliant manner. The enemy took refuge behind their fortifications at Pilot Knob."